With aging, lines and wrinkles appear on our face and creases become more prominent with the passage of time. 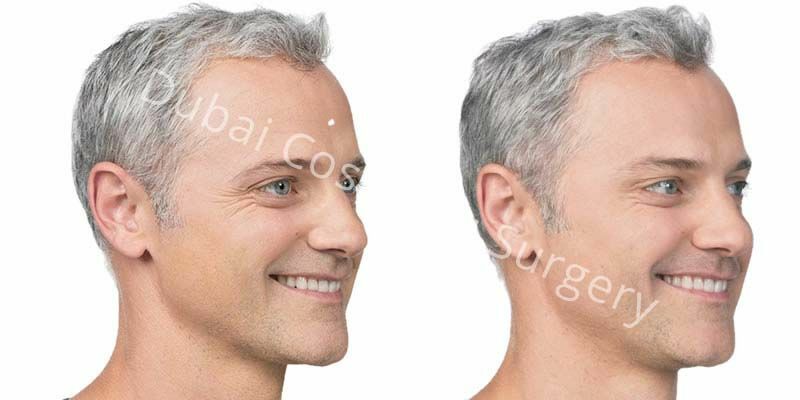 Injectable fillers for men and women will help you get rid of this at an affordable price. 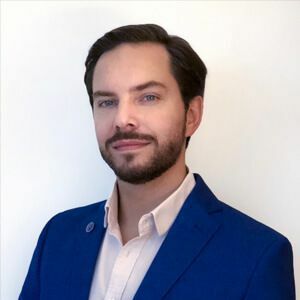 Dermal fillers treatment or Botox are the injectables that are most helpful for eradicating lines and wrinkles on the face and restoring the contours, resulting in a more youthful and rejuvenated facial appearance. 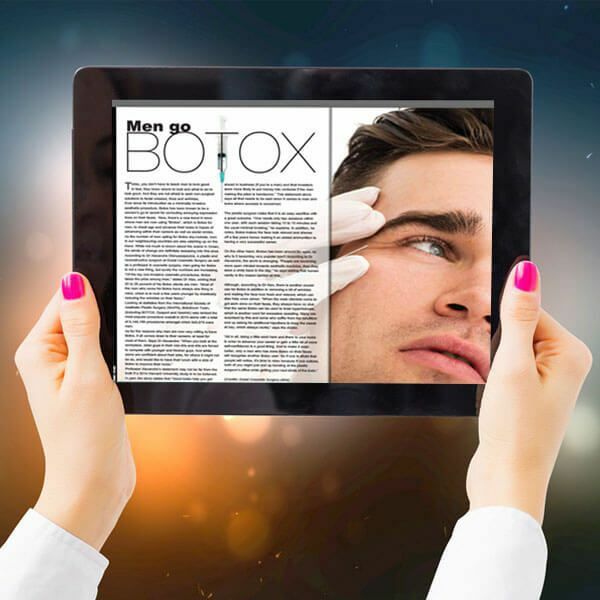 Visit Botox/Filler cost page to know the exact cost of the treatment. Dermal fillers treatment result in a more youthful facial appearance. The outcomes are very effective but are mostly temporary and usually last for 6 to 12 months. However, in some cases, they may last longer, even for two years. No Guarantees are given, as the results may vary from person to person. You have lines around your nose, mouth, and eyes. You have fine lines on your lips. Your lips and cheeks have lost volume. Your nose has minor deformities like nasal humps (nose surgery might be an option for you). You have a receding chin. You are physically and mentally healthy. You are not a smoker. You have realistic expectations from the outcome of the treatment. Dermal fillers/Soft tissue fillers do not require downtime and you can resume your normal activities right after the treatment. You may experience the following symptoms during your recovery. The over-filled appearance of the treated area. Numbness and redness on the treated area. All the above-given side effects are temporary and subside quickly with the use of ice packs. You must also avoid excessive sun exposure for a few weeks after treatment. Temporary dermal fillers: Temporary fillers are those fillers that are absorbed by the body in a few months. The benefit of this type of fillers is that if you are not satisfied with the results, you will have to wait only for a few months for the effects to go away. You will need to have repeated treatments to maintain the results. Semi-permanent or permanent dermal fillers: This type of fillers last longer because they are either not completely absorbed by the body (permanent) or very little amount is absorbed (semi-permanent). Collagen-based fillers: Collagen-based fillers are the most frequently used type of fillers. 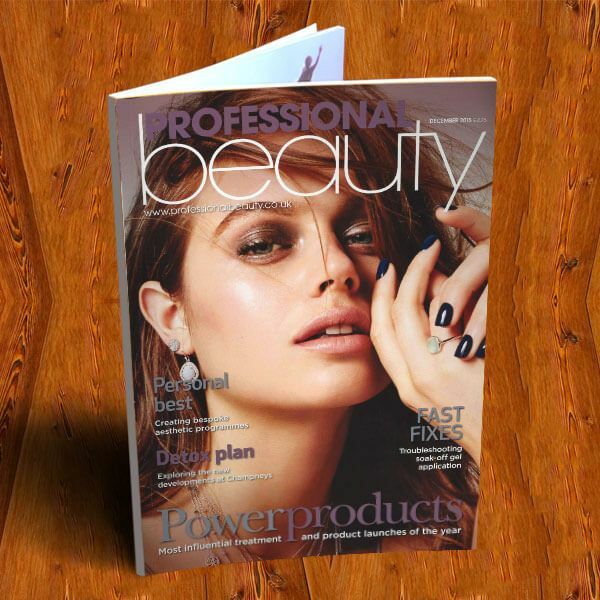 It is further divided into two types – human-derived collagen and bovine-derived collagen fillers. Collagen is a naturally occurring protein found in the body that supports skin, bones, joints, and ligaments. Bovine-derived collagen is extracted from tissues of cows whereas human-derived collagen is harvested from human skin removed during surgeries. They are biocompatible and therefore usually do not require pre-treatment allergic test. Hyaluronic acid based fillers: Hyaluronic acid is naturally found in the body that plays the role of moisturizer and supports and lubricates the skin by binding water. Hyaluronic acid based fillers mimic the effects of natural hyaluronic acid and replenish your body’s natural hyaluronic acid. Fat injections: Fat injections are also considered the type of injectable fillers. Most of the patients prefer fat injections on off-the-shelf dermal fillers but they require a comparatively more extensive procedure. This procedure involves extracting fat from areas of your body having denser fat like abdomen, buttocks, and thighs through liposuction. The extracted fat is then processed and purified fat is injected in the treatment areas. 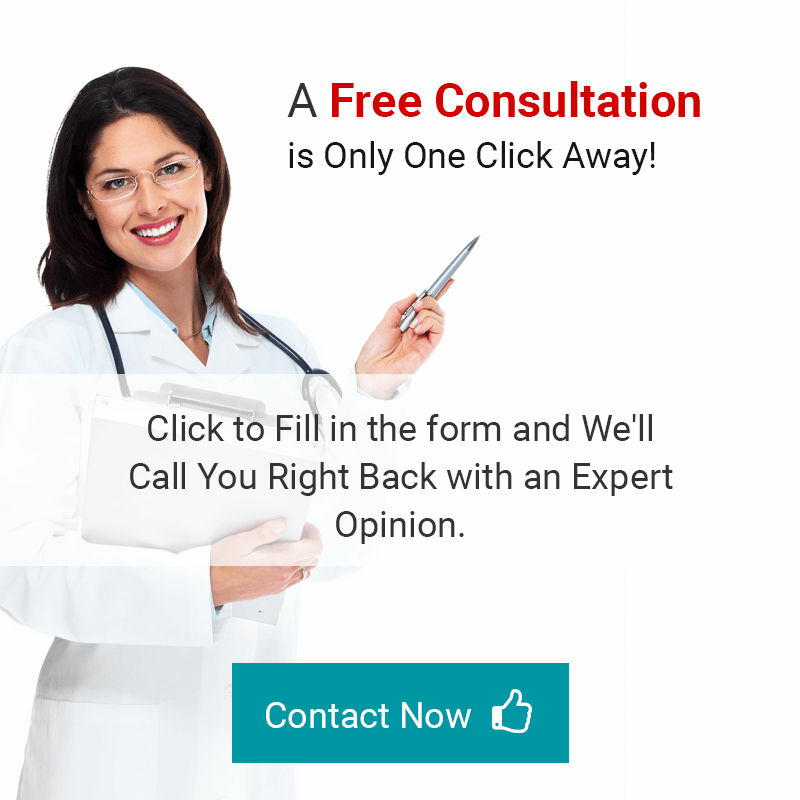 Fat injection is a minor surgical procedure. Here are a few guidelines that will help you to boost the recovery process. Have a look! Don’t consume alcohol for at least 10 days before the procedure. Don’t smoke for about 10-12 days prior to the procedure. It will boost the healing process. Discuss your medical history with your doctor. Complete the tests that are prescribed by your practitioner. Discuss your concerns with your practitioner. The first step of the procedure is the facial evaluation. The surgeon will examine your face and will mark the injection sites. Then the treatment areas will be cleaned using an antibacterial agent. Then the treatment area will be numbed using numbing cream or local anesthesia. 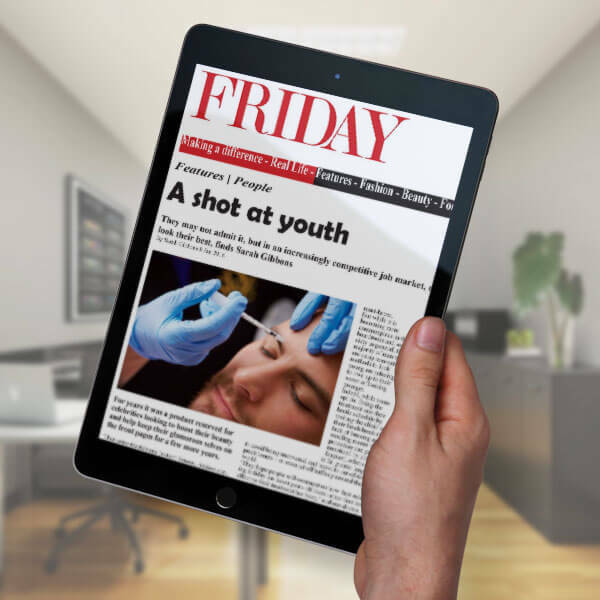 The discomfort caused by injectable fillers is mostly bearable and patients do not require the application of numbing cream. Small amounts of filler are injected in the marked sites. After injecting filler, the treatment area is slightly massaged and any markings are cleaned off. 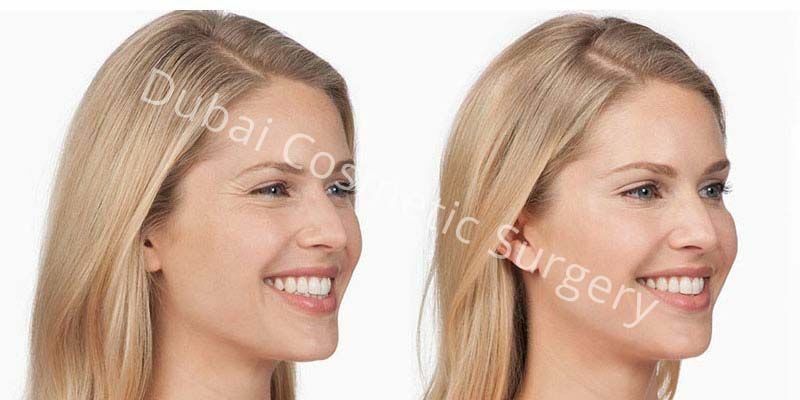 Dubai Cosmetic Surgery has highly qualified plastic surgeons in Dubai and Abu Dhabi. 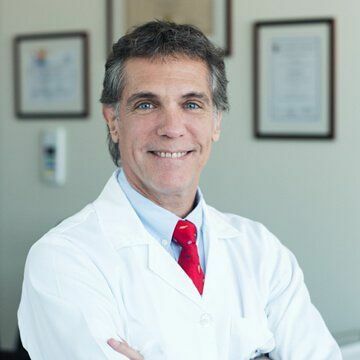 Our surgeons will do their best to make sure that you are satisfied with the results. Fillers are mostly used for facial and body contouring. Hyaluronic acid or fat can be used, for enhancement of the facial features. Body fat can be removed from areas, it is not where desired and then it can be transferred to those area where enhancement is needed, for example, calves and Buttocks. 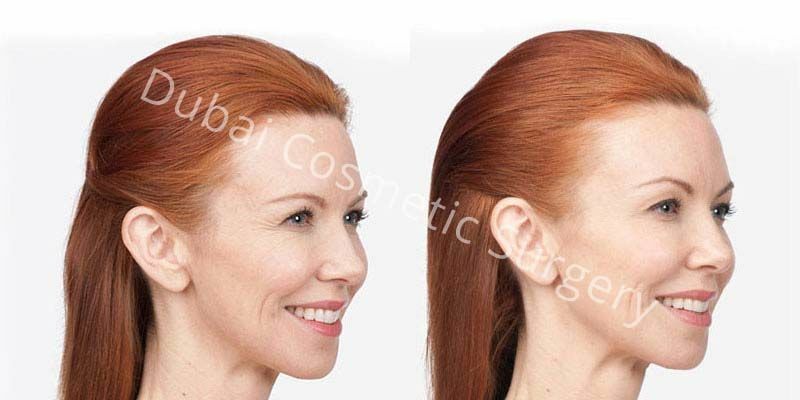 Minor facial enhancements can be performed in an office setting under local anesthesia. For larger areas regional or general anesthesia may be required so the procedure has to be performed in a hospital. Other than fat, the fillers come pre-prepared in a syringe ready to be injected. 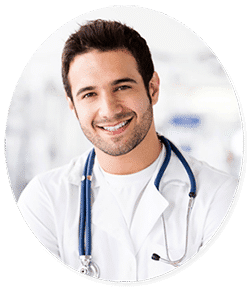 Fat, however has to be first removed from some area of the body, for example abdomen or thighs, prepared, and then injected where it is needed. 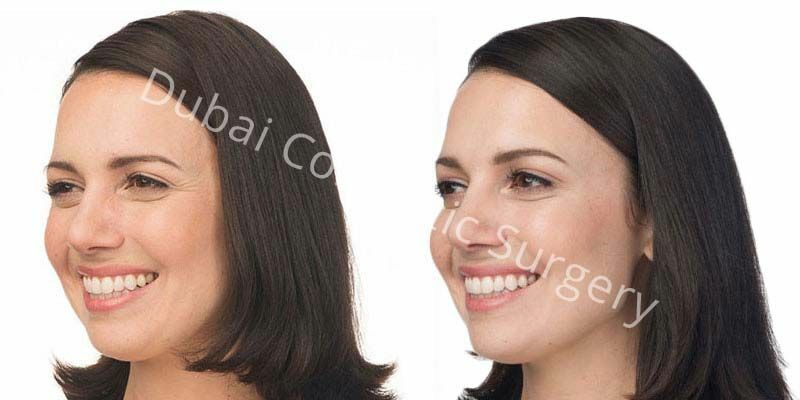 Minor enhancements of the face, which are performed in the office can take a few minutes, on the other hand, larger areas which require the procedure to be performed in the hospital may take anywhere from one hour to two hours. It again depends upon the nature and extent of the procedure. 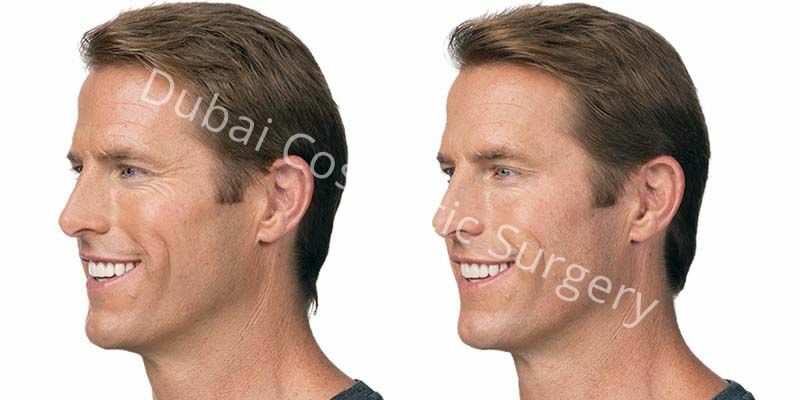 Minor facial enhancements practically do not require any recovery time and are essentially a walk-in procedure. Enhancements performed in the hospital may require, two to four days of recovery. How Long the Result Lasts? As mentioned earlier, most of the short term the fillers only last from four to six months and then they need to be repeated. Fat injections can last longer, though the exact length of how long it will stay cannot be predetermined. Facial or body enhancements are not very painful, particularly enhancements of the face. Some bruising, swelling and discomfort is to be expected. Minor complication includes asymmetry, and irregularity. Major a complications like infection, bleeding or scarring or not common. The cost includes surgeon fee, hospital charges, anaesthesia fee.  And it also includes free consultation, free follow up for life time and additional discount's for future surgeries. You Don’t Want to Miss This - We have a Special Offer on Dermal Fillers Injections For You. You are just a step away!